Can the EU Shake Its Russian Energy Habit? In 2005, Poland Foreign Minister Radek Sikorski compared Nord Stream AG – a conglomerate of European firms and the Russian state-owned energy company Gazprom proposing to build the world’s longest undersea natural gas pipeline – to the Molotov-Ribbentrop Pact (MRP) of 1939. The Pact of course was a non-aggression arrangement between Stalin’s Russia and Hitler’s Germany which eventually led to the joint invasion and takeover of Poland. Warsaw regarded the first Nord Stream (NS1) as a geopolitical risk because it would unduly increase the sway Moscow and Berlin held over European domestic gas supplies. As Russia has become more aggressive in recent years since the annexation of Crimea and intervention in the Syrian civil war, Mr. Sikorski’s fears of Russia weaponizing its natural gas supplies and pipelines now seem prescient. Sovereignty issues could also be in play for Europe the same way Myanmar’s energy’s crisis could be solved by purchasing electricity from state-owned Chinese energy firms. Preliminary discussions have outlined how buying Chinese electricity could solve extended energy blackouts at the cost of sovereignty by submitting Myanmar to undue Chinese influence. Europe could also face this same dilemma if Nord Stream 2 (NS2) is built. 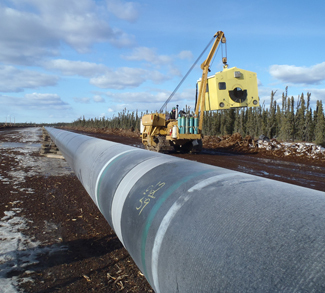 The pipeline is currently projected to be finished in 2019. The consortium of companies that built NS1, and now NS2, would connect the Russian city of Vyborg to Greifswald. This allows Gazprom to service European gas markets directly through Germany, which has turned Germany into a major gas hub. It also ensures supply consistency should the Ukraine crisis flare up; NS2 would keep furnaces running in northern Europe winters and allow Moscow to isolate Kiev’s energy supplies. EU officials initially dismissed, even mocked Mr. Sikorski’s comparison of the Nord Stream to the MRP as a gross exaggeration. No EU official is saying that now. NS 2 will bring Russia and Germany even closer together with major consequences for Europe’s energy supply portfolio. This has caused increased energy-related stress for Central and Eastern European nations, including Slovakia. Russian arm-twisting is nothing new, and President Putin has proved willing to weaponize his country’s energy supplies in order gain political and territorial concessions. The economic benefits of NS2 are hard to discount. The pipeline will cost $11.8 billion to build; however, it will double Russian gas supplies to central, southern and Eastern Europe. Moreover, this will weaken Ukraine’s gas pipelines to European markets and create a rift between EU members that favor the project and those that oppose it. The largest issue is that this will generate hundreds of millions, even billions in revenue for Gazprom, which in turn help to directly subsidize Moscow’s foreign policies. The wars in Crimea, Eastern Ukraine, Syria and the expansion of the Black Sea Fleet were enabled in part by revenues provided by NS1. Propaganda aimed at undermining German elections, anti-European parties funded by Russia that push to dissolve NATO, restrict immigration, and disband the EU entirely will all be potentially on the table with the monies generated from NS2. A recent piece in Foreign Affairs outlines some other problems Europe would run into relying heavily on renewables over Russian or some other imported gas to meet their energy needs. Since solar and wind are “too diffuse and unreliable, nor can hydroelectric power achieve energy parity to replace fossil fuels,” this leaves Europe reliant on Russian natural gas. 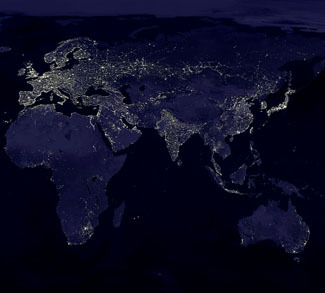 Europe could plausibly consider cutting energy consumption, but the past 40 years per capita energy consumption has risen globally. Without accessible, reliable, scalable energy that natural gas provides to Europe – European standards of living would drop. Russian natural gas will naturally take on the role of a comeback, transitional fuel. Furthermore, the EU’s domestic gas production is falling – particularly in the Netherlands – which will lead to increased imports from Russia via Germany. Those reasons alone will mean greater Russian market share of the German and EU energy market. Unless Europe finds a way to expand domestic fossil fuel production, it should diversify its natural gas holdings by building liquefied natural gas (LNG) import terminals and sourcing LNG imports from the United States, Australia, and Middle Eastern countries. 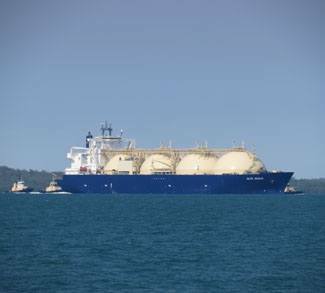 If the European Commission doesn’t find state energy policies and solutions to satisfy their diversified union, then looking for other LNG imports outside of Russia is the best geopolitical solution. Political will shouldn’t have to be unified or favor narrow parameters; instead, all stakeholders and member states should realize the fact that when you deal with Gazprom, you are ultimately deal with Putin. The interests of the entire EU should be at the forefront of making these complex energy decisions and finding safer natural gas resources.